Last edited by Lockey; Dec 06, 2016 at 05:59 AM. Build guide looks well done. But (playing devils advocate here) why is this any improvement / advance on Dave Blums' design / plan? I look forward to seeing your build of it come together though. As for the Dave Blum plans, you've already seen my depron version of it. I simply increased the size of the plans by 126% to go from 1/16" balsa to 2mm depron. If you wanted larger you could do the same with 3mm depron without having to change any part of the plans. Ah,I see the other post with the plans change now, it didn't show up on my phone before for some reason..
Lockey, I never made a thread for it because I didn't think there would be much interest. Plus I didn't want to make people wait ages to see it built. I've still not finished it yet, but will get to it when I'm not so busy. 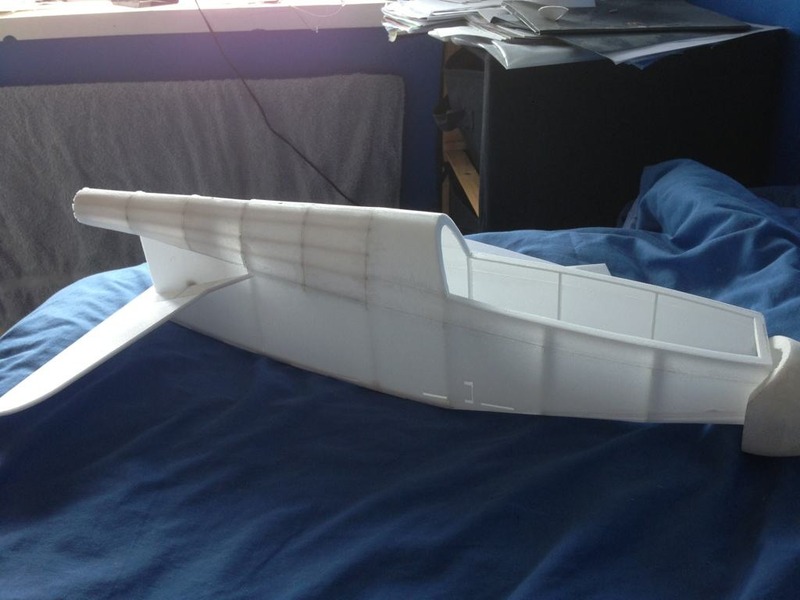 Here is a video of one I built recently designed by MARCEL VLIESIE, it flies so nice I wanted to make one a little more shapely ... but you have built one too eh .. when will it be ready to fly? Last edited by Lockey; Aug 04, 2013 at 03:43 AM. I can take more photos, but they will show the same level of progress. Balsa was used for a couple of areas instead on the 2mm depron, just to give it rigidity and strength. If building a larger version from Dave's plans, I would use balsa or ply for the internal structure around the motor mount, and try to hide the motor inside. At the current size there was no way I could fit the motor within the fuse without having to use the drive shaft method as originally intended. but you have built one too eh .. when will it be ready to fly? Still awaiting repairs from the last maiden attempt, but looking a bit prettier with most the paint on it now. Post whatever and whenever you like Alex, its all very interesting stuff and I love to see how other guys build and finish their models. Did you find out what the problem was with your failed maiden? I actually find it much easier doing what I am with 2mm depron rather than trying to roll and bend 6mm. 2mm you don't need any tape on to make the bends, and the sections are only small so easy to do. Any larger parts with 6mm depron I have trouble doing. As I said in the thread for the other bd5 model, too much grass, too much wind. I also used the recommended throws but found it way too sensitive even with expo. I will use your throws for the remaiden. looks good. I'd love to biuld one of these but the list is so long now. I still have the 6mmflyrc prototype they put out a few years ago. Not sure why it didn't catch on. I built a very simple BD5 a few years back with a mid motor. Fun design. Last edited by Lockey; Aug 04, 2013 at 08:52 AM. It is slightly thinner 5.6 mm against 6mm for Depron BUT who’s arguing … it will do for me.